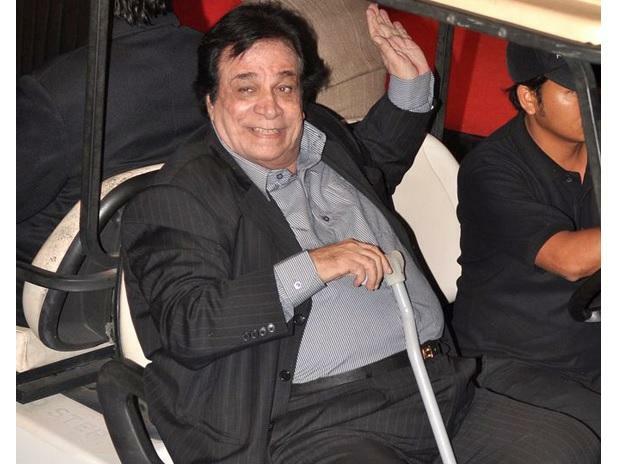 Megastar Amitabh Bachchan has led tributes to veteran Bollywood actor-director-writer-comedian and a Quran scholar, Kader Khan, who died after a prolonged illness at a hospital in Toronto in Canada. Prime Minister Narendra Modi Tuesday recalled the unique sense of humour of veteran actor Kader Khan, who passed away after a prolonged illness. "Kader Khan ji brightened the screen with his stupendous acting skills and lightened it thanks to his unique sense of humour. He was also a prolific screenwriter, associated with many memorable films. Saddened by his demise. Condolences to his family and admirers," the Prime Minister tweeted. Congress President Rahul Gandhi Tuesday condoled the demise of Bollywood actor and writer Kader Khan, who passed away in Canada after prolonged illness. "I am sorry to hear about the demise of noted actor Kader Khan Ji. I offer my deepest condolences to his family, friends and fans all around the world," Gandhi said. "We will miss him," the Congress chief said in a Facebook post. Actor Manoj Bajpayee wrote on the micro-blogging site: "Rest in peace Kader Khan saheb!" Actor Arjun Kapoor described Kader Khan as "an actor and a writer who defined a generation".